The Manatee River- Terra Ceia Bay Inlet allows boatesr to pass from the Manatee River north to Terra Ceia Bay or vice-versa via a four-foot deep canal that runs between the town of Palmetto and Snead Island. Terra Ceia Bay and the Manatee River are interesting gunkholing, anchoring, and exploration areas, and each has its own variety of marina services scattered along their shorelines. The primary limiting factor for the passage between the Manatee River and Terra Ceia Bay is the 13-foot fixed vertical clearance bridge, pictured above, that crosses the cut and carries traffic from the mainland to/from Snead Island to the west (left). Depths in the cut range from about four to five feet, which is acceptable for most boats that can deal with the limiting overhead clearance factor of 13 feet. 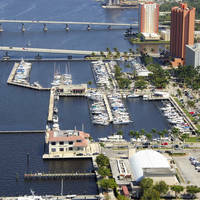 We will discuss the approach from the south via the Manatee River, as shown above. 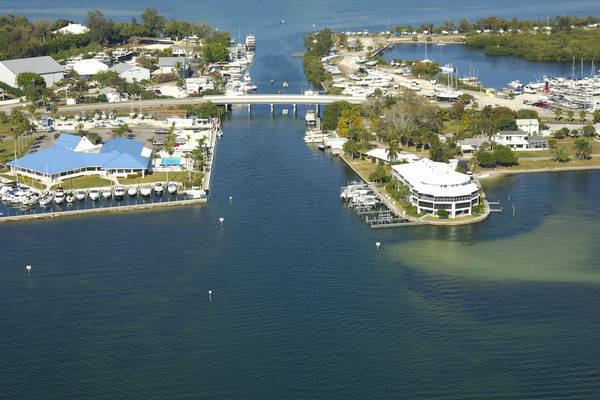 Having cleared the entrance to the Manatee River, set a course for flashing red 14, which marks the shoal off McNeil Point, and then turn north toward red daybeacon 2 at the beginning of the dredged channel toward Terra Ceia Bay. 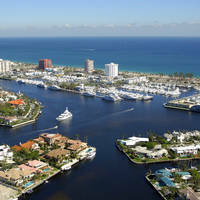 There are several marinas located on the southern portion of Terra Ceia Bay, and many of them can be seen above on either side of the channel. 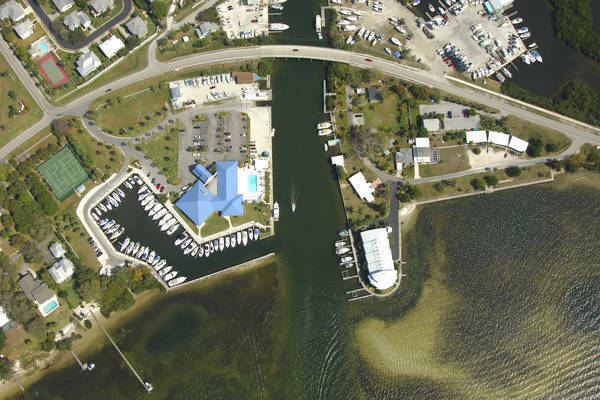 The ones to the right (east) have a tricky entrance channel, but plenty of sailboats and deeper-draft-type boats seem to be able to make their way into the basin where the facilities are located. 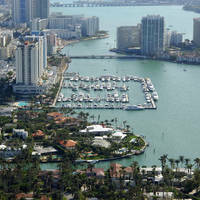 Outside the cut to the southwest (out of the image to the left) is a special anchorage with four- to nine-foot depths. No reviews yet! 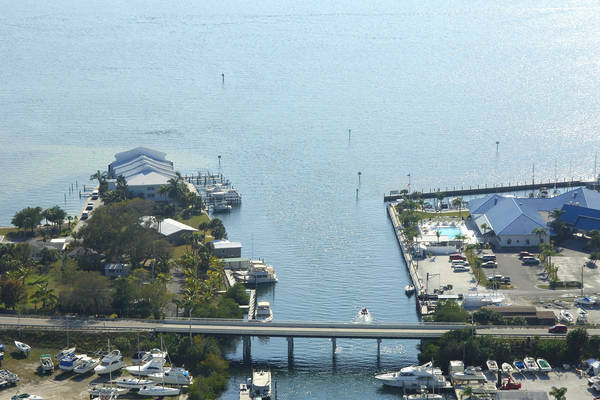 Be the first to write a review of Manatee River Terra Ceia Bay Inlet.